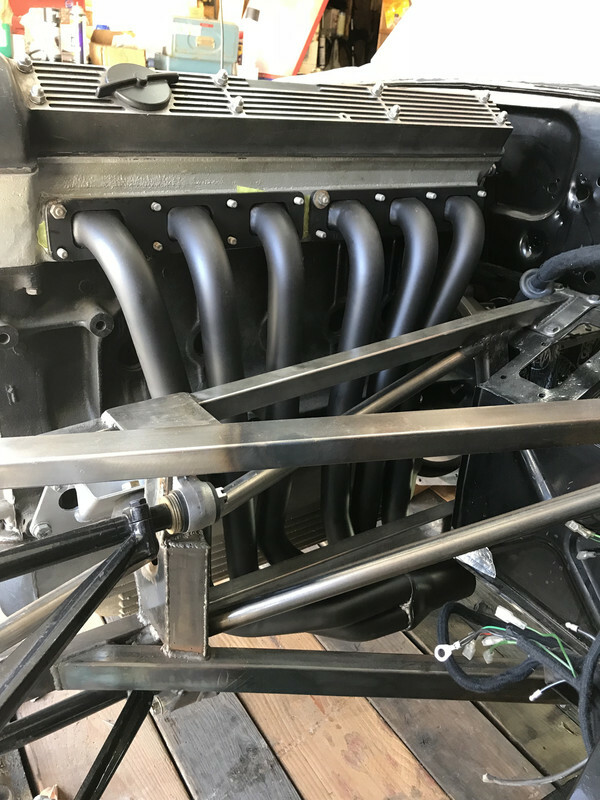 Is there a reason why the engine frames are gas welded using bronze filler rods? Has anyone done or had small repairs carried out on there frames? The frames are brazed, not welded. The process uses a brass rod and is carried out at much lower temperatures than welding and doesn't melt or otherwise affect the physical properties of the Reynolds 531 steel tubing from which they are made. If they were to be welded then they would be rendered scrap. It is perfectly feasible to re-braze them but I would only trust someone experienced in the art to do so. There is no questions to answer that i can see. Lee, Steve's point is that it is polite to say thank you when people take the time to give you advice and information. Everyone happily shares their knowledge and experience but there are times when those who take the time to search out information for others get frustrated when no thanks or gratitude is shown and they ultimately stop responding. Im sorry i dont wright response to evey post i put because spelling for me is very dificult as i have dyslexia and prefure to use the forum on the laptop when its free that is so it will spell check for me unlike replying my phone. I will take the time later to wright replys. Suggest you use an emoji, saves a lot of time and is quick to do from the choices on the right of the editor box. Nickel Bronze gas-welding was developed to keep aircraft built from thin wall tubing from shaking themselves apart and falling out of the sky. Those manufacturers that still use that technique believe they are providing a better product by doing so. It is certainly not cheaper or quicker. Last edited by Ianick on Wed Nov 28, 2018 9:03 am, edited 3 times in total. I had these made for my 62 FHC RHD racecar. They should last about 200 years. After you happy with them? What grade of steel did you use? The welding doesn't look particularly good to me. I don't think I would trust my life, or the life of others, to them. I'm sorry to be so negative but they don't look great to me. Sorry to be negative however I agree with Stuart it’s not good welding, looks to me the MIG has been setup to cold and there doesn’t appear to be good penetration, and there is also porosity on at least one of the welds that needs grinding out and re welding, I would have personally TIG welded them. Or bought some from E Type Fabs? Im under the impression that anything but brazing the joints will crack? As I said in post #3 the frames are made from Reynolds 531 high tensile steel tubing and must be brazed. That is why I asked Davet495 what material his frames are made from. The primary reason the subframes are brazed is to avoid hydrogen embrittlement, which is a problem with many types of steel when they are subjected to the higher temperatures associated with traditional welding. Some years back, a friend went arse over t*t in his Lotus 51 Formula Ford, tearing off several suspension attach points in the process. While the damage to the chassis was serious, not one of the brazed joints failed. Instead, all failures were confined to the mild-steel tubing outside of the braze. Steel aircraft structures typically use 4130 chrome-moly tubing and are almost exclusively welded using oxy-acetylene. This is for a couple of reasons. Gas welding subjects the base material to more moderate temperatures than does TIG, thereby mitigating embrittlement issues, and because aviation--at least in the U.S.--has one foot firmly planted in the 1930s. I have TIG-welded 4130, but normalized the welds with a low oxy-acetylene flame to reduce any stress from the welding. I've also TIG-welded 4130 bicycle frames using sil-bronze filler rod, but being earthbound makes any failure far less consequential, and we've had no failures. To my knowledge, our FAA has never blessed the use of sil-bronze filler for any structural component. Anyway, back to the original point. E-Type subframes must never be repaired by welding, because they will fail. It's also worth noting that the youngest original subframe is now 43 years old. There is likely corrosion inside that will compromise the integrity of any weld. When factored into the total cost of a proper restoration, a new set of subframes is relatively cheap insurance. "Reynolds 531 tubing is a high tensile material ( 45-50 ton/sq/ins), but having the versatility of mild steel. There is no need for any pre or post heat treatment when used for structural assemblies, though welding sequence should be observed, evening out welding constructions. 531 is suitable for fusion welding providing rapid quenching is avoided. Arc welding. Is not usually recommended due to the short heat affected area and the possible "notch effect" of the weld fillet. When using light gauges (ie 17 or 17 swg) bronze welding or small fillet TIG welding is recommended. Welded assemblies at Reynolds Tube never needed stress relieving even in the war time aircraft assemblies, though care was taken in design and construction to avoid notch effects and stress raisers. The experience gained in manufacturing the thousands of aircraft fuselage sections and engine mountings helped in the development and elimination of problems in the all welded motorcycle frames of 1950s and 1960s on." Ken Sprayson is certainly a respected name, so I'd take his word for it. He does refer to arc welding being less suitable than gas. He never actually says oxy/acetylene but stick, MIG and even the TIG he mentions are all variants of arc welding, which only really leaves oxy and spot as the two fusion-welding options, and you don't typically spot-weld tubing. The OTS I had stolen came to me as a Mustang lump. Being a Ford rather than Chevy V8, the top rails had not been cut, which was good news. The bad news was two large slabs of 1/4" steel plate crudely welded each side for engine mounts. Had the butchery been done by brazing I could probably have reversed the process and removed the add-ons. Since they were stick welded, with the amps apparently turned up to the "Golden Gate Bridge" setting, I had to throw the frames away.